Construction continues on the Jebel Buhais Geological Museum at Fossil Rock. 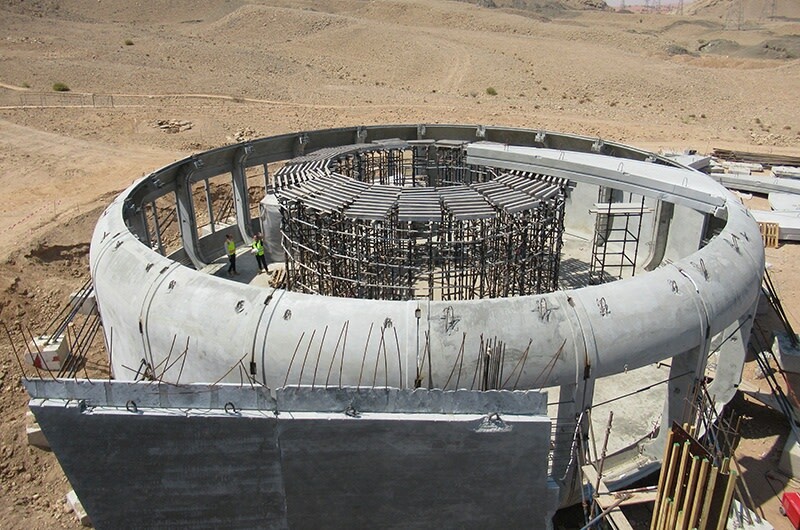 The sub-structure, comprising of circular cantilevering in-situ concrete plinths, was completed in August. The precast concrete superstructure pod segments have now been craned into position.